Serpwatcher Review + A Deal You Don’t Want To Miss ! What Inspired Me to Make This SERPWatcher Review? There are tons of features to use to help you do one job and that is tracking your rankings. It seems like the ease of use was Mangools’ main priority. Kind of expensive to buy. However it is worth it. SERPWatcher is an excellent software choice to keep track of your rankings. Gives you the powerful metrics you need to keep a track of your rankings. 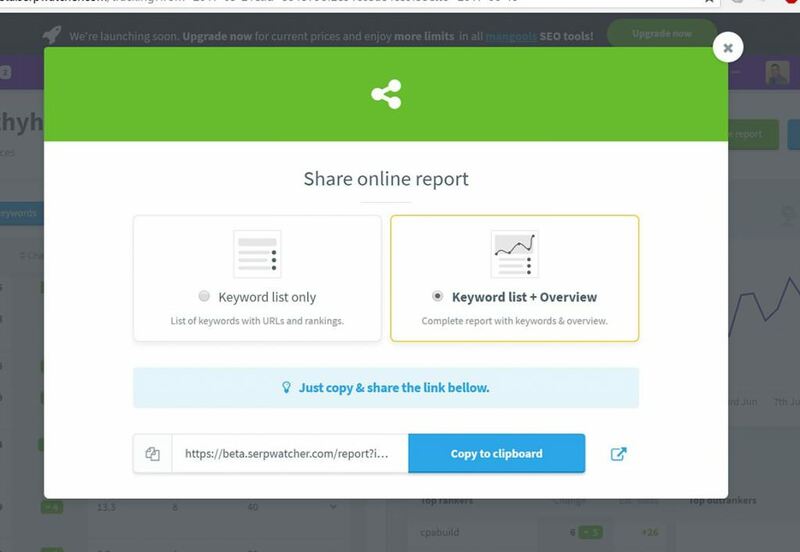 Ability to share reports and get alerted when rankings change. 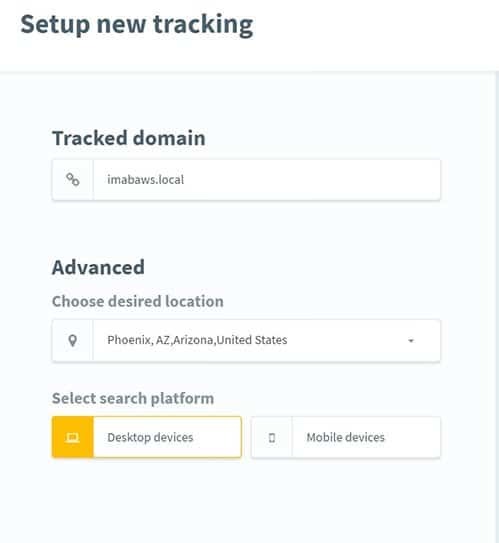 You can track keywords globally or locally. Program tracks only Google listings and not Yahoo/Bing. No ability to measure competition. Don’t like to read? Watch my SERPWatcher review video! Finding keywords can be an extremely difficult process. But at the same time, tracking your keyword rankings can even be more hard! Thankfully, there is a new software that does all this automatically for you and that is ​SERPWatcher. Well, you don’t have to. But, if you want to grow your Blog / Internet Business, then tracking your keywords is certainly part of the process. This is because with any business you want to know which data works and doesn’t. This is so you can throw away the bad data from the good data! With standard rank trackers, you can conveniently find which keywords work and which do not. This is good! However most rank trackers don’t tell you the extra info you need to know, in order to scale your business. Mangools, the same people who created KWFinder, found out that there really was no ‘great’ rank tracker out there and created one themselves. To show Mangools our appreciation, we created this SERPWatcher review just for you. It was May the 5th, 2017 on a bright summers day when I got this email. The main reason why I mentioned this in my SERPWatcher review is because I don’t want you to think that I am just overselling a product that is absolute crap. Instead, this product is very good and I got to try it myself. And if you can tell, I absolutely love SERPWatcher. These are the reasons why. Like I have mentioned in the beginning of the SERPWatcher review, Mangools has changed the rank tracking game with the new metrics they have created. When you are hungry and you want a piece of pizza, chances are you want the whole dang thing, right?! The same concept goes with being a SEO. You want to rank 1 for that keyword, not rank 4,5,or 10. Mangools knows this and that is why they have made SERPWatcher have the dominance index. You see, SERPWatcher just doesn’t show you the rankings and that’s it. 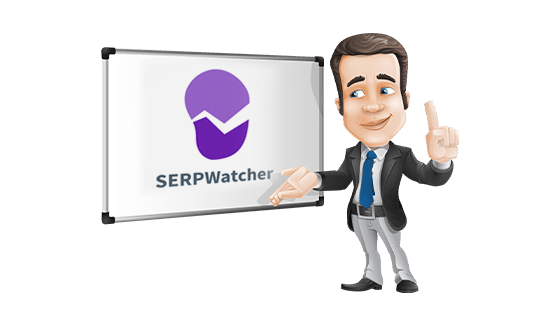 Instead, SERPWatcher will literally find the keywords which you are wanting to track, your rankings for those keywords, and then calculate what’s called a dominance index from all of that data. According to Mangools, the dominance index represents your organic traffic share based on current positions and weights of your tracked keywords with a metric ranging from 0-100. This means Mangools now gives you the opportunity, within SERPWatcher, to measure your overall dominance for the keywords you are wanting to rank for. Furthermore, SERPWatcher shows you a nice and easily readable graph, which shows your performance as far as the dominance index. 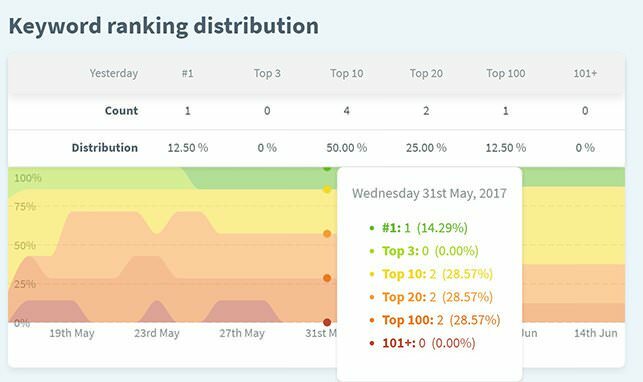 This means you as an SEO can now accurately see how well your site is doing overall, when it comes to ranking. As you can see, I’ve got a ton of work to do on my site. I wouldn’t have know this without SERPWatcher. So, I’d like to personally thank them for creating this metric so I was able to distinguish this. How many rank trackers do you know of that give you an estimated view count of your visitors with only just your keyword ranking? You don’t, because there are none. Well there were none, until now. So it’s no surprise that when I go to the page to see what keyword I rank for, I can literally click it and it will tell me the estimated visits per month I get with that keyword! I’ve also confirmed that the data SERPWatcher spits back to you is really accurate. I get about 40-50 visitors per month with my CPABuild article I wrote. Not only are the estimated visit results keyword-specific, but SERPWatcher tells you an estimate with your keywords overall. 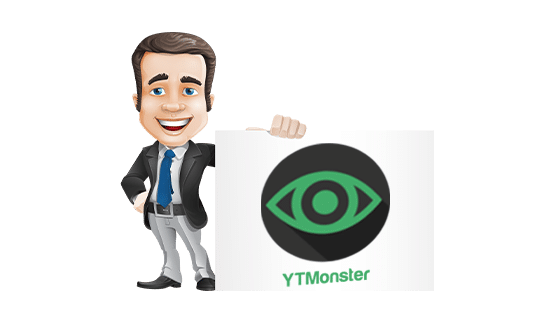 I think this is excellent because a SEO consultant can now tell his or her client an accurate amount of visits per month they are receiving from his or her business. Furthermore, SERPWatcher makes another dedicated graph page, just for the estimated visits / month page. This is so you and I don’t have to record anything and we can be lazy! Yay! Overall, the visits per month is a great feature and it tracks the information we want. When it puts the data into a graph, we can conveniently see how well our site or SEO project is doing. ? Now that I’ve talked about the beautiful metrics previously in my SERPWatcher review, I want to talk about the notable features & functionality. I noticed that a lot of these features wouldn’t be possible if it weren’t for the custom metrics Mangools created. Like I said in the first part of our SERPWatcher review, it’s important to filter out the bad data from the good data. This way we can see what is working and what is not. With the biggest changes feature, I am able to do this very thing. How am I able to do this? Well, I don’t know. But I can tell you the genius minds behind SERPWatcher know how. Instead, all I know is how to use the biggest changes feature and see what my biggest changes actually are. Isn’t it amazing that a program like SERPWatcher can actually make it easier for the customer, instead of the customer actually trying to figure it out for themselves? All jokes aside, when I want to know what keywords are ranking and which ones have lost rankings, I go to SERPWatcher and just look at the biggest changes pane. 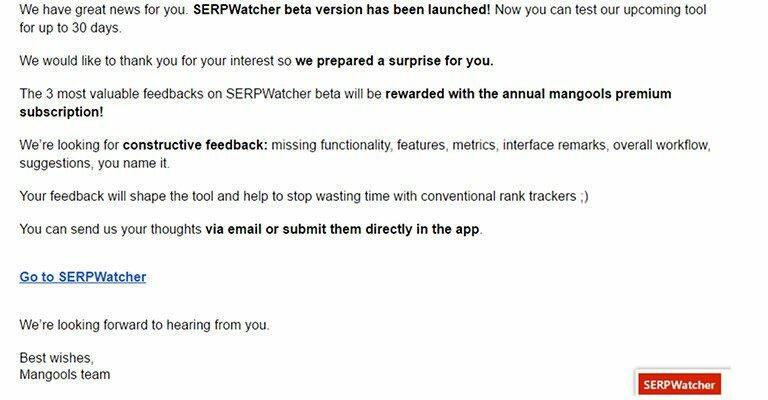 As you can see in this SERPWatcher review, the biggest changes feature is split into two categories, the good and the bad. The good will tell you your top changes within your rankings, while the bad will tell you your most negative changes. This in itself is excellent, because SERPWatcher allows you as an SEO to quickly see what is ranking and what isn’t. Furthermore, the estimated visitors per month metric is there for you to prioritize what you should change and I think that’s awesome! This feature really surprised me and I had to write about this in my SERPWatcher review, because I never have heard of a tool which implements some sort of sharing and reporting functionality. I seriously want to know what type of geniuses are behind Mangools because this makes so much sense! They really hit the nail on the head with this one. This is because there are two buttons on the top right that say “Share report” and “Report & Alerts”. This is excellent because if you want to share your report with partners, clients, or visitors, all you have to do is… you guessed it.. press the “Share report” button. When you do that, you get a nice little screen that looks like this. As you can see in this SERPWatcher review, you can share just your keyword rankings or the whole overview of your site. Pretty cool, right? Like I mentioned earlier, you could easily just press the “Share reports” button and brag to your visitors or anyone else. As you can see, I don’t have too much to brag about. Perhaps I should create more content? On the other side, you can share your overview of your rankings. These are really awesome things to share wealthy hustlers. However, this information would be best to share to people you trust, such as: clients, family, and friends. Quick Tip: Don’t give your competitors too much data. This is because they can reverse engineer your SEO plan. 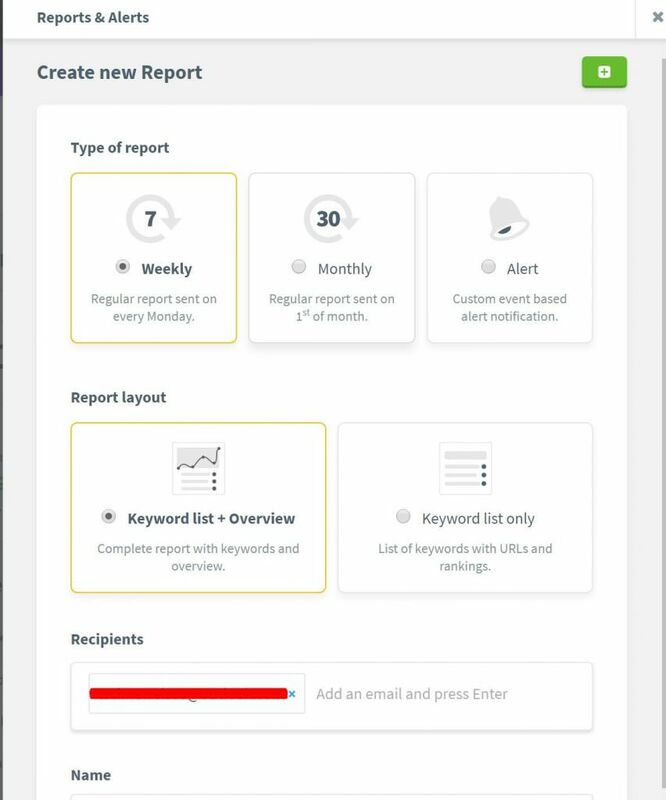 With the reports & alerts feature, you can create monthly, weekly, and custom alerts. This feature would be very useful if you are an SEO professional, SEO consultant, or any other type of person that would use this feature. With this feature i’m able to select my timeframe and keyword list type. As for the alerts, you can send an email to yourself if certain keywords are above or leave the top 10. This could be quite useful, because you now have a real-time solution when it comes to managing your keywords quickly & effectively. 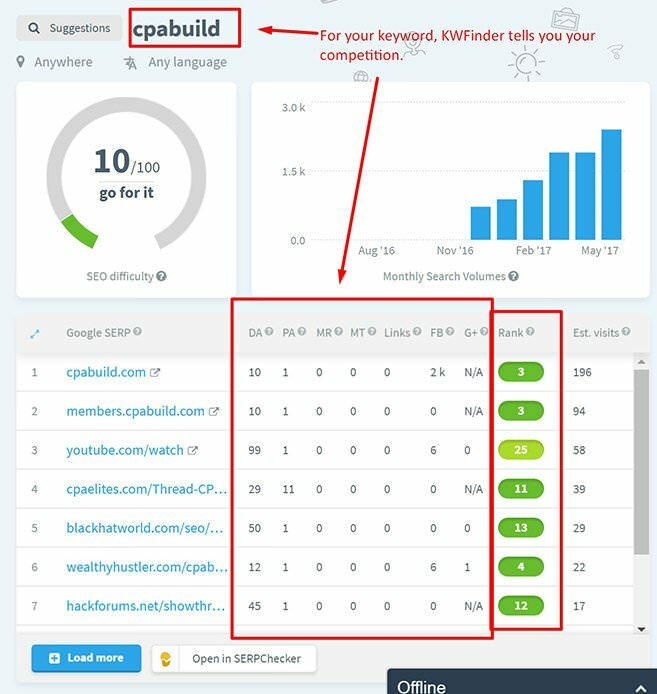 The last feature I have an honor mentioning in this SERPWatcher review is the keyword ranking distribution. 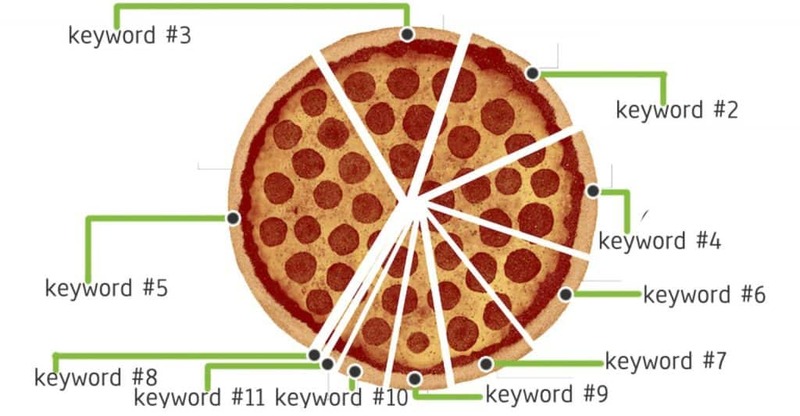 This is not only useful information, but it allows the visual learner to see what his or her overall keyword ranking presence is within the SERPS. You can see in this SERPWatcher review that the graph splits into days . For each day, SERPWatcher will visually graph your overall keyword ranking position. 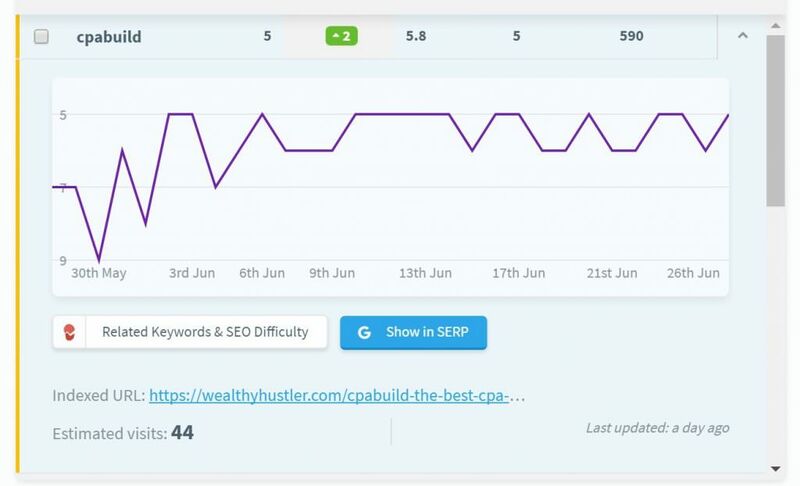 This visually lets you know as an SEO or entrepreneur what your overall search dominance is like overall. You could look at the keyword ranking distribution as a visual dominance index chart. Again, you can see from here, I have a lot of work to do! Ofcourse, this is all done by SERPWatcher. Most of your conventional keyword trackers only can track keywords positions worldwide. This is because the algorithm the crappy tool uses doesn’t have the ability to be location specific. However, with SERPWatcher you can track keywords both globally and locally. 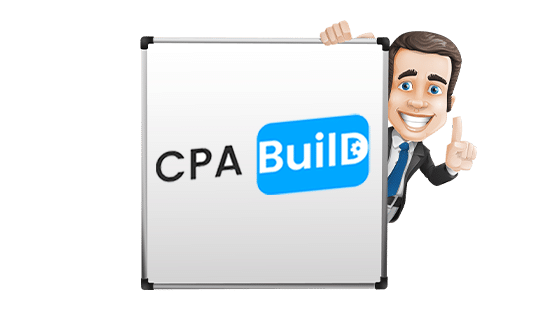 With this being said, this tool would be a great tool for a SEO consultant doing local SEO keyword tracking. On the other hand, SERPWatcher allows any non-local SEO to use this tool. This means if you own a business that is online, then you have the ability to make your SERP tracking campaign not location specific and look what your keywords look like globally! I’ve got to say, I was deeply amazed when I saw the quality I was given for free from Mangools. Probably not as much as Mr. Bruce Almighty, but pretty darn close! This is because of the design and friendliness of the program. I had to literally zoom out from the browser to show you how much information SERPWatcher includes. With all this information, you can clearly see that there needs to be powerful way to let the customer of SERPWatcher to know which data is what and why it is there. This program does that exact thing. Aside from the glorious charts and data, just take a look at the formatting.It’s very concise and formatted beautifully. Not only this, but the charts and tables they give you are actually relevant information. This data isn’t just filler data. If utilized correctly, you can use all this data all at once and truly outweigh your competitors. This is what I think Mangools main mission was and you can tell it was a success. Furthermore, SERPWatcher also uses tooltips. This is excellent because it gives the SEO a great way of understanding the different types of metrics and know a little more about the tool. Lastly,in this SERPWatcher review, I want to talk more about the user friendliness. This step is extremely important when making a program. You want your customers to subconsciously know how to use everything with the basic SEO mindset. using user error notifications: Incase you do anything wrong, you will be notified by SERPWatcher that you need to put in data the way the program want’s it. having a great color scheme: Although many people think this is more of a design trait, I think otherwise. This is because there are certain psychological aspects behind colors. As you can see, SERPWatcher looks very smooth and provides a nice warm and welcoming color, purple. I as a customer feel really comfortable with this program because it looks and feels nice. This is extremely important. Now for the pricing, I think it’s very reasonable. 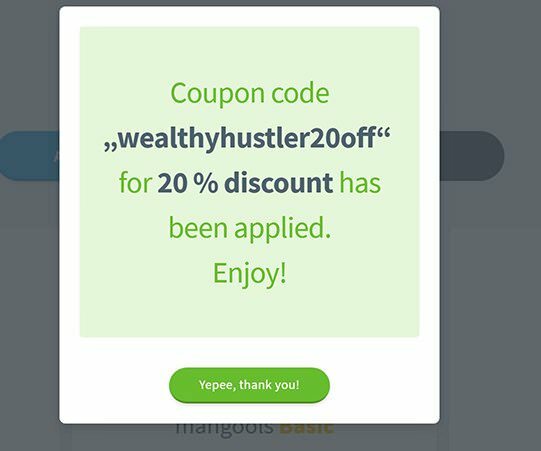 Currently as of June 2017, you can get the whole mangools bundle for $39.20 a month when you do it annually or just $49 a month. 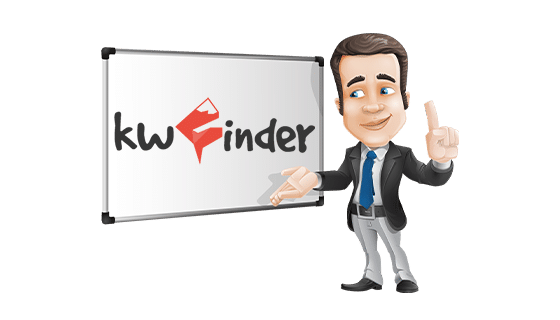 This gives you access to KWFinder (a great keyword research tool), serpchecker, and serpwatcher! I wish they would allow you to buy SERPWatcher individually, but for this price there really is no complaining and SERPWatcher uses KWfinder’s functionality so it only makes sense why they made this all bundled together. But that’s not all. You see, if this was a generic review site and I didn’t care about my visitors, I wouldn’t have made this discount possible. 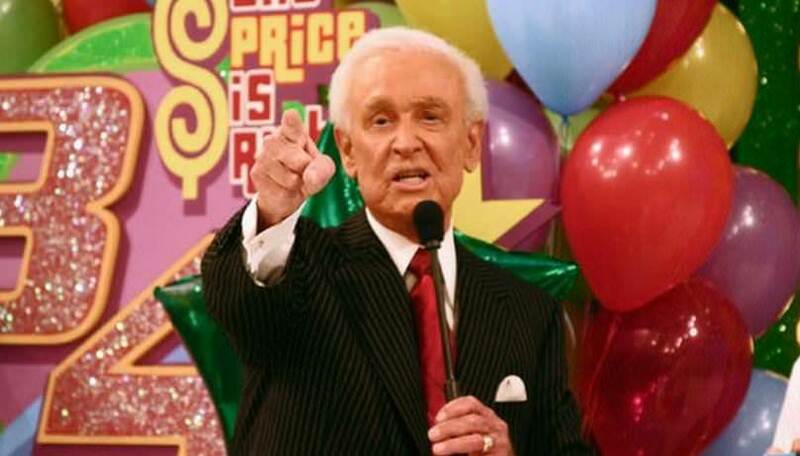 Yep, I scored you all a 20 percent off deal! Just click on the button down below to claim it. ? This discount never expires. You can see my discount gives you a huge deal. So, if you buy SERPWatcher, be sure to use this discount to save some money! Let’s face it,with anything, there’s always room for improvement. Therefore, I’ve decided, this SERPWatcher review isn’t honest if there aren’t any cons or bluffs with the program. The first suggestion that I have is to have this SERP tracker expands towards the Yahoo/Bing and DuckDuckGo search engine as well. I say this because not every browser uses Google as their default search engine. According to w3schools, over 20 % of the whole 45,000,000 monthly visits towards their site is not Chrome. My only other critique in this SERPWatcher review is that there is no way to measure competition. Again, this might be added in the future. But, as of now, it is not. Why do we want to measure competition? Because we want to a) see what they are doing & b) see how we stand against our competition. ​However, although SERPWatcher doesn’t give you the direct ability to compare your keyword rankings with someone else, Mangools has a competitors feature within KWFinder. So, technically you can measure your competition with their other tools included in your package. I’d imagine this tool is made this way for organization and ease for the developer team. 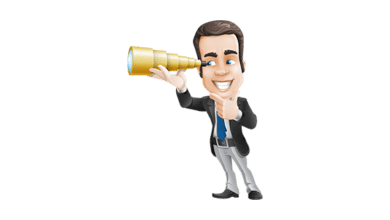 Overall, SERPWatcher is a great tool for anyone getting into SEO. 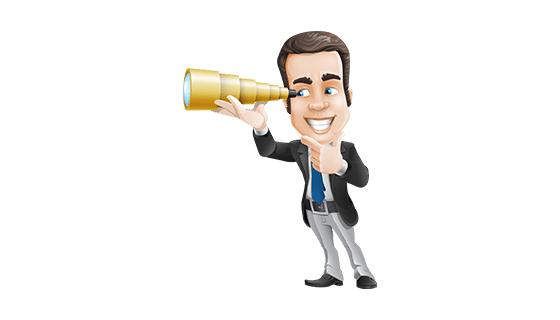 If you want to take advantage of Mangool’s key SEO metrics, awesome features, and be part of of the revolution which constantly is innovating SEO, then I would suggest that you buy SERPWatcher. I love SERPWatcher (and KWFinder) so much because these tools together have helped me dramatically visualize how well my site is doing on Google’s SERPS. Not only that but SERPWatcher gives me accurate data. This accurate data is then grouped into features and beautiful graphs for me! Why? Well, because you want an advantage against your competition. And I’m sorry, but I’m sure a lot of competitors hate me. This is because I invest my time and money into only powerful tools and I don’t settle for less. As of July, the solid price is $23.20 / month for KWFinder, SERPWatcher, and SERPChecker, with my discount. Compared to other rank tracking tools, this was a no brainer for me. And with Mangools support, professionalism, and geniuses at play, I without a second thought added SERPWatcher to my daily SEO regimen, along with KWFinder. I hope all of you wealthy hustlers have found this SERPWatcher review to be helpful. If there is anything I missed, please let me know. ? Please also share this post with your friends and family. Let’s create a better SEO community out there, which utilizes the best tools possible and help spread the word. Lastly, if you haven’t yet, make sure to enable notifications for this site, so we can send you relevant information in order to make money online. I think SERPWatcher is awesome! The integration of the KWFinder makes it unique. Good review! Thanks!